You could be forgiven for thinking that Recycling is the most important aspect of waste management. Lot’s of people do. But in actual fact it isn’t. 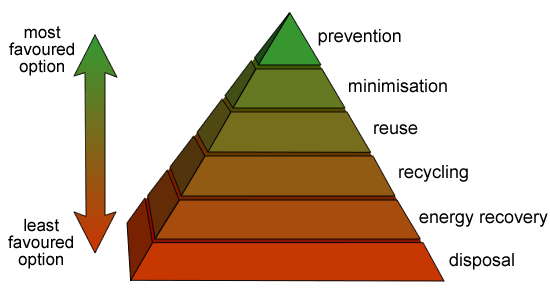 Like the rest of Europe we use the Waste Hierarchy in order to prioritise and manage our waste (picture below). It is a classification of waste management options in order of their environmental impact and its aim is to extract the maximum practical benefits from products and to generate the minimum amount of waste from them. As you can see Recycling is only at Number 4 on the list, which means that there are 3 other options that we should try and do before we even get there. At the top of the pyramid we have Prevention and that is because the best thing that we can do is to try and prevent waste from occurring in the first place. 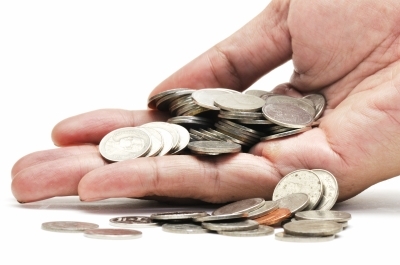 As individuals we can do this by trying to shop sensibly and think about those supermarket purchases. We must ask ourselves “Is that Buy One Get One Half Price offer really too good to turn down?” or “Will I actually get round to eating that item before it expires?”, just by thinking a little bit more about what we purchase will mean that we not only save money, but we also will be producing less waste. Next up we have Minimisation, which is often better known as ‘Reduce‘, and it really is that simple. It is just about trying to use less things and if we use less of something we will waste less of it. A great example of this is to start composting food scraps, like vegetable peelings, egg shells and tea bags. Portion control is also key we often cook too much food and end up throwing it away. You could even put a ‘No Junk Mail’ sign on your letterbox to stop those pesky take away menus. How many pizza menus does one house really need? At Number 3 we have Reuse and this is key to the whole process as this is where we can all have a really big impact on our own waste. It is far better to continue using something that has already been manufactured for a purpose then it is to get something new. A fantastic example of this is reusing super market carrier bags, they are designed to only have one use, but the more we get out of them the better. The next step on from this would be either getting a plastic ‘bag for life’ or by using a cotton shopping bag. Cotton bags are fantastic as they can be used for an indefinite amount of times whereby a ‘bag for life’ may get damaged after 20-30 uses. Reuse doesn’t just have an impact on our own lives. Textile reuse has a truly global impact. In the first instance we would always say try and give your unwanted clothes to friends or family and it is often the case that hand-me-downs are used by multiple siblings, which is fantastic. But if you don’t have anybody to give that old jumper to or that pair of jeans that no longer fits you, then please give it to a charity shop or put it into a Textile Collection Banks. 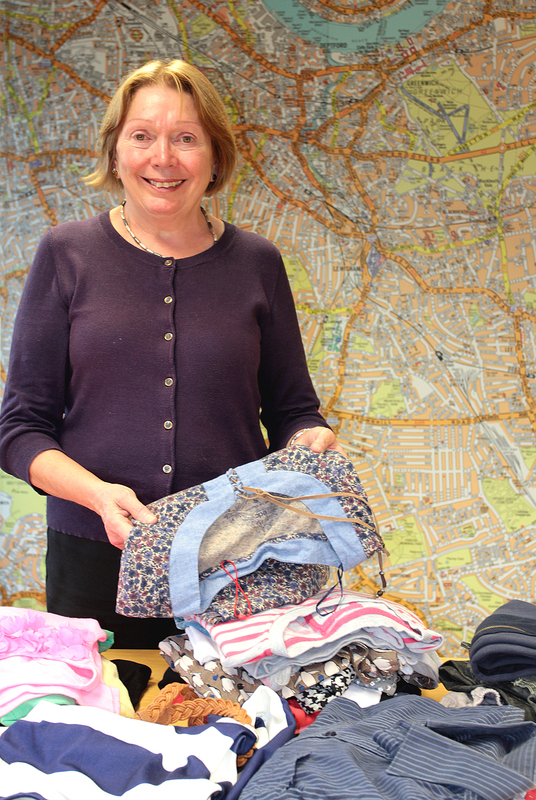 Unwanted clothes are hugely important and get assessed to find their most suitable destination points. The best clothes are usually passed on to vintage or retro clothes shops. Even high street fashion takes these items and turns them into their own vintage range. The next grade of clothing generally goes on to be sold in charity shops, these are usually good quality items that do not have that vintage flavor. After that we have good items that may no longer be perfect or in saleable condition and this is where something special happens. It is these items that are often sent to disaster zones, places where peoples homes and possessions may have been destroyed and personally I can’t think of a better destination for them. It is only after items can no longer be worn that they will be taken away and recycled into something else. Generally old, damaged items are used to make insulation for homes and cars. So only after we have reduced and reused all of our waste do we finally get to Recycling. The most basic definition of recycling is when you take an old item that no longer has any functional purpose or use and you turn it into something new and useful. And as wonderful as that it, it is still not better than reuse, because with reuse no energy or resources are needed to change the physical properties of the material. 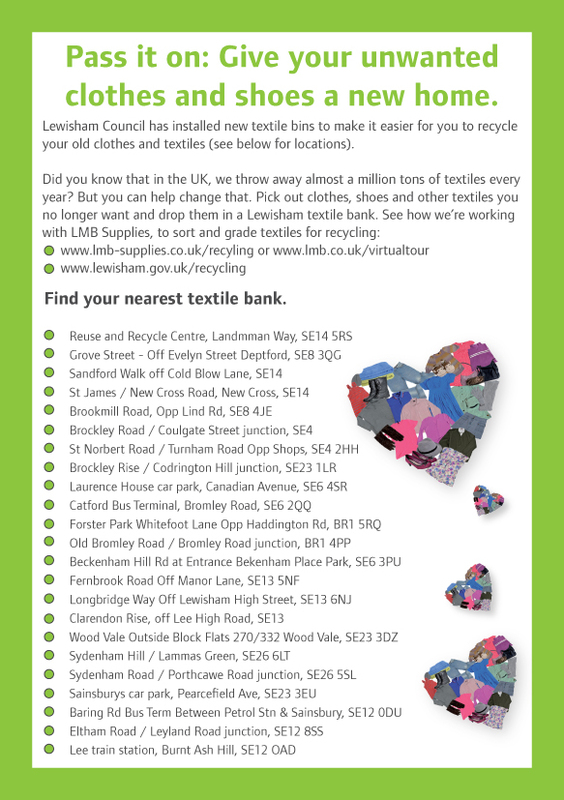 In Lewisham we are quite lucky as we are able to recycle a multitude of items in our household recycling bin. These items include paper & cardboard, glass bottles & jars, metal cans & foil, household plastic package, beverage cartons (tetrapaks) and textiles. 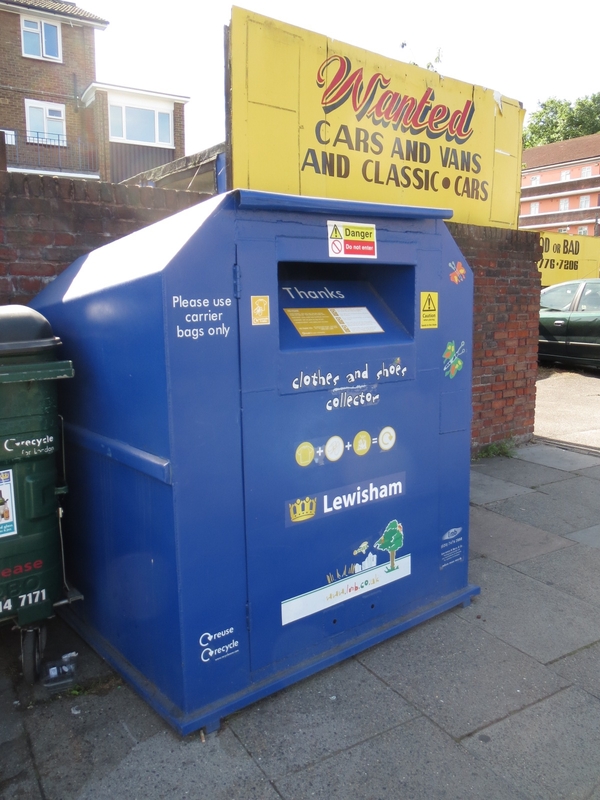 By taking all of those items out of our refuse bin we end up sending far less waste away for disposal which in Lewisham’s case is for the 5th stage of the waste hierarchy, energy from waste (incineration). Both energy from waste and the 6th stage disposal (landfill) are the end of the line for an item. Once it has been burnt or put back into the ground there is no way back for it and that resource is essentially lost forever. So when you think of your consumption try and remember the 3 R’s: Reduce, Reuse and Recycle! Categories: Food waste, Junk Mail, recycling, reuse, Textiles, waste minimisation | Tags: food waste, Reduce Reuse Recycle, textile recycling in Lewisham, waste hierachy, waste minimisation | Permalink. Real Nappies Event on Saturday! Lewisham’s next nappy event takes place on Saturday (November 16th) at Wearside Service Centre, Wearside Road, Ladywell SE13 7EZ, 2pm to 4pm. Come along to find out how using real nappies could save you money and help the environment. You can also get a free £20 voucher at the event, which you can put towards the cost of buying some real nappies or accessories. 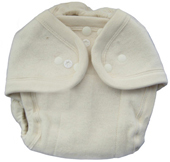 And the first person through the door on Saturday will win the nappy of their choice! So why not get involved with the real nappy revolution! By the time a baby is potty trained they will have worn 4000 – 6000 nappies. Using real, washable nappies rather than disposables can save hundreds of pounds and reduce the amount of rubbish going into your refuse bin. Tea, coffee and biscuits also provided at all events! Categories: community engagement, Environmental Campaigns, Real Nappies, recycling, reuse, waste minimisation | Tags: Free Real Nappy voucher, Nappy Natters, Nappy voucher scheme, real nappies, real nappies for london, Real nappies save you money, Save £600 on real nappies, Save money, save money with real nappies, washable nappies | Permalink. Come along to Lewisham’s nappy events in November to find out how using real nappies could save you money and help the environment. So why not get involved with the real nappy revolution! By the time a baby is potty trained they could have worn 4000 – 6000 nappies. Using real, washable nappies rather than disposables can save hundreds of pounds and reduce the amount of rubbish going into your refuse bin. Tea, coffee and biscuits provided at all events! Come along to Lewisham’s nappy events in September and October to find out how using real nappies could save you money and help the environment. 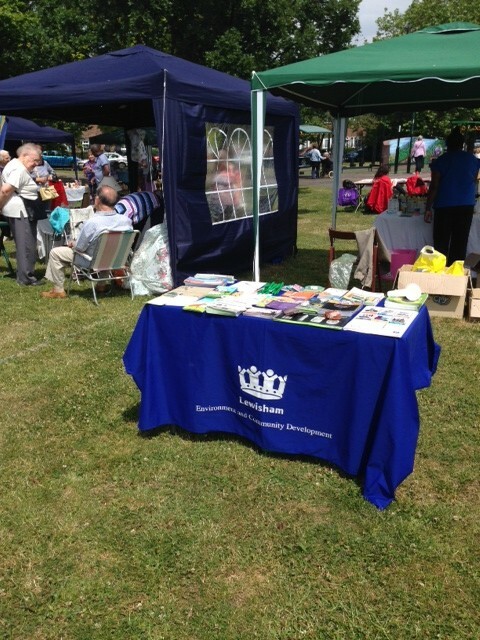 You can also get a free £20 voucher at the events, to go towards the cost of buying some real nappies. Friday 27th of September, between 10am and 12 noon at Manor House Library, 34 Old Road, Lee, SE13 5SY in the Baring Room. And Friday the 25th of October, between 10am and 12 noon at Manor House Library, 34 Old Road, Lee, SE13 5SY in the Baring Room. Come along to Lewisham’s new nappy events in August and September to find out how using real nappies could save you money and help the environment. Friday 30th of August, between 10am and 12 noon at Manor House Library, 34 Old Road, Lee, SE13 5SY in the Baring Room.